Being a well-distinguished company in the market, we are into offering Pressure Die Casting Machine. The Vacuum Casting Machine is a simple concept for fine casting work. 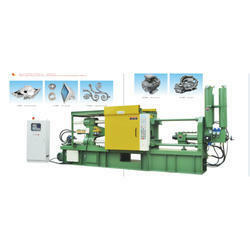 The machine has in-built melting system, automatic casting feature, Vacuum casting has bottom pouring system. It is easy to use for good quality production in Gold and Silver. Investment Capacity: 4 flask at a time. Casting machines able to process and cast gold, silver, palladium-alloys and platinum reproducibly, comfortably and precisely. Ultraflex Power Technologies is devoted to the design and manufacturing of power electronic products used in wide range of induction heating and power conversion applications. Western Industrial Applications Pvt. 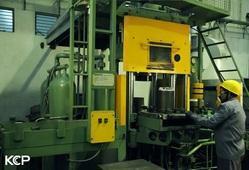 Ltd. offers Rapid Metal Casting (RMC) Systems. Schultheiss GmbH Germany, original inventors of vacuum pressure casting systems, the RMC facilitate manufacture of functional prototype cast components for many industries.